In this thrilling adventure - Polly Parrot and Mr Dinosaur have vanished - leaving Peppa, George, Mummy & Daddy Pig to embark on an incredible journey to find the missing duo. As always - Peppa`s special friends Suzy Sheep, Danny Dog and Pedro Pony are on hand to help in the fantastic hunt! This action-packed live stage show is especially designed to give young fans an unforgettable first live theatre experience and encompasses all the charming, colorful nature of the hit TV series with everyone`s favourite songs! 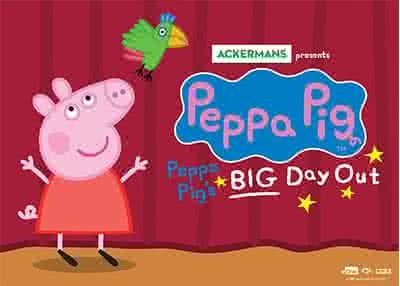 Fans will be laughing, cheering and dancing - just like Peppa! discount packages are on offer - book early! NB: All guests regardless of age require a ticket to enter the venue.